Here is butter. Eat butter. “No, never,” I respond to the lunch lady at Bogalusa Elementary School in Louisiana. I am 19, here for lunch on a volunteer trip, and have never eaten grits. She can’t get over my northern lack of exposure. She ladles a hefty dollop of the white-gray sludge from her serving bowl into a square partition on my blue plastic lunch tray. I lift my tray and study the grayish heap. Heh. Do I want some butter? I’m from Wisconsin over here. Now we’re talking. “Please. Butter makes everything better.” I put out my hand, ready to receive a couple of small golden rectangular packets, butter pads within. She picks up another ladle, this one submerged in a vat of glistening liquid. It is orange. By the time she’s done pouring, my grits are covered to a depth of half an inch in highlighter-bright grease. “Enjoy!” She smiles warmly. My “thank you” can hardly be convincing. I appreciate the sincerity of her hospitality, but this is horrifying. By the time I reach my seat, the surface of the radioactive puddle on my tray has congealed like wax. I wedge out a small portion of the concoction and smile as the teachers and students with whom I’ve been working study me intently: here’s a Northern whose life’s about to be changed. A grits first-timer! If I had a blog all about butter, I would explore how fake butter—margarine, oleo, and other butter substitute products and spreads made with industrially processed vegetable oils or questionably rendered animal fats—ever came to be, anyway. As more and more people left farms for cities, eventually forgetting what butter looked and tasted like, they became more accepting of the industrially produced counterfeit. The market for butter-fakes grew—right alongside industrial producers’ potential for new profits. If I had a blog all about butter, I would write about the health benefits of eating the gold of dairy. Do you know how contested are the studies that have backed the “be afraid of saturated fat” refrain since the beginning? Do you know how butter can be not just not bad for you—but actually good for you? Just wait! It won’t be long until we see butter—and other quality, saturated fats—on the latest lists of dietary super foods (right next to blueberries and sardines, I reckon, when Aunt Mary’s wisdom takes hold!). Yeah, of course: don’t let your diet consist of butter ONLY, but don’t be afraid of the stuff. When you want some butter, have some damn butter—and have enough of it to enjoy. Butter loves you. Butter wants you. You know you want it, too. If I had a blog all about butter, I would post an annoying number of recipes born on the marketing websites of Wisconsin dairy producers. Why stop at butter, when there’s also cream and sour cream and full-fat yogurt and mascarpone to make your next recipe unforgettably delicious? (I swear they’re not paying me.) Can I help it that the good people of Wisconsin have given us so many “I-need-to-get-that-recipe-from-you”-inspiring food ideas*? *BUT, if I had a blog all about butter, I would use an asterisk whenever I posted a delicious recipe that calls for butter alongside the real dietary villains in our midst—sugar and processed grains. That asterisk would be a tiny reminder that, when it comes to baking with sugar and flour—all in moderation (I love to bake, so I know this one’s easier said than done…but saying it’s a start). Nevertheless, when it comes to doctoring up your steamed veggies (quality fat makes it possible for your body to assimilate vital nutrients!) or frying that morning egg (as my dad would say, there’s nothing like butter to season your cast iron)—or any other time refined sugar’s not involved—butter out! And, finally, if I had a blog all about butter, it would become clear that, whenever I proclaim my butter-love, I am not even joking. Really. I am not Paula Deen over here! My love of butter is not a guilty little pleasure. It is not about excusing reckless self-indulgence, or rationalizing bad food choices even if they undermine good health. See, I don’t view butter as anything to be guilty about. I’ve learned about it, I’ve eaten it, and I’m serious. 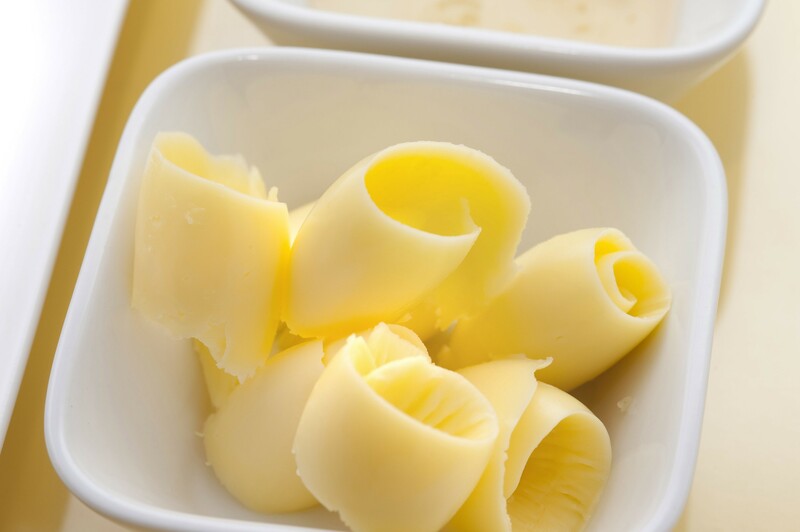 At the end of the day, butter is…just…better. when did butter get so expensive? We were at the store yesterday, and i always check to see if the butter is on sale (STOCK IT UP) and it was $4.79 FOR THE STORE BRAND CHEAP STUFF. The other stuff was like $5. I was like WHAT ARE YOU DOING TO ME. Do you know how much butter I use on a weekly basis? If I’m baking like 2lbs. FAIL. Also is it ok if I use lactose free milk? Or is that a violation of the dairy religion? I agree, Emmy! There’s a whole other conversation to be had about class and food and cost and privilege. We’re lucky to have butter available (THANK YOU, FARMERS) and to be able to afford it. And sure–lactose free milk is still milk, right?! Gosh, I wish we could hang out and bake some cookies with butter this weekend!